Glutathione is incredibly important to your health and a deficiency in GSH is linked to a range of health problems, even aging itself! Eventually we all lose our ability to manufacture as much GSH through age alone, never mind outside influences. If you want to boost your GSH levels than supplements are an obvious and effective method. Precursors like NAC have been proven to raise intracellular levels, and advancements in direct safe oral supplements have given us lipisomal glutathione and acetyl-glutathione. Nondenatured whey protein gives your body naturally-occuring glutathione precursors like cysteine, lactoferrin. Many whey proteins are designed for the fitness crowd and have a lot of ‘extras’. Try to find the purist non-denatured whey protein, cold cross filtered, with no added sugar or artificial sweeteners (If it’s sweetened you generally want it to be Stevia). Bonus points if you can find grass fed, non GMO whey protein readily available. A high quality whey protein is one of the first go to sources for raising glutathione levels. It’s a brilliant addition to your nutrition with so many building blocks built in! Fresh raw fruits and vegetables can all be good foods with glutathione. Cooking or processing will decrease the available GSH, so always choose raw. The stand outs are asparagus, broccoli, avocado and spinach. But potatoes peppers, carrots, apples, bananas, grapefruits and melons can all assist. People will say you want raw unpasteurized milk and eggs to get the GSH benefits. Though we would say that gives the better food source glutathione it’s not entirely necessary. Even after being processed eggs and dairy should remain rich in alpha-lactabumin and sulfur-containing amino acids that can assist in Glutathione usage. If you are comfortable with raw eggs though, toss one back to get the full nutrient value! The Indian spice has been known for ‘healing qualities’ for centuries and often recognized as a super food. There is evidence it can be helpful in glutathione metabolism. Even if it didn’t raise GSH levels, it’s a delicious addition to many meals and stands alone with health benefits. If you want to boost glutathione levels… stop looking for foods with glutathione, start looking for a high quality glutathione supplement. Dietary sources are tricky at best, and though a high quality organic diet is always going to have tremendous health benefits, it’s difficult to count on that in the modern world we live in. With the exception of whey protein, the other food options are often not desirable, or difficult to consume in amounts that will really boost the building blocks you need. Providing your body the building blocks through quality glutathione supplements is simple, and effective at raising your GSH levels. 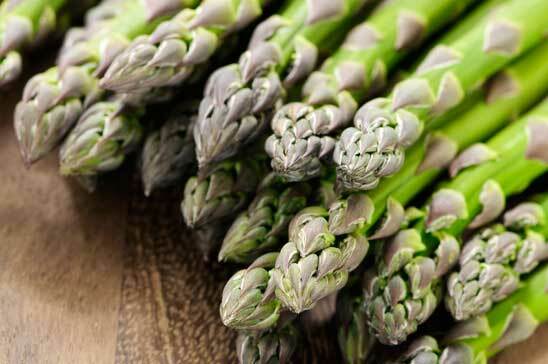 No matter how rich in glutathione your raw asparagus may be.